When both my office mate Dave and my netflix friend Frances recommended this movie, I just had to check it out. Not only do I love San Fransisco, I also love documentary style movies. When they are made well, they are fascinating. It’s a peek into somebody’s life, or their perspective on life. I digress…back to the parrots. They are beautiful and completely out of their element in North America-but they have adjusted and formed this beautiful flock. It’s an amazing story! 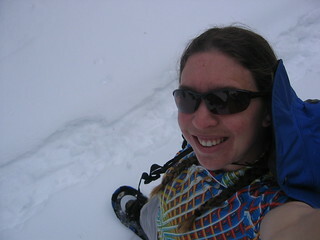 You are currently browsing the climbergirl blog blog archives for April, 2006.